END OF WATCH , from 2012, is the best cop movie since Zodiac, five years previous, and if you narrow it down to ‘beat cops’-patrol-car-variety you might have to cruise all the way back to 1988 and Colors. Written and directed by David Ayer, who had scripted Training Day and Dark Blue about corrupt law enforcement: this time he evened it out some, portraying two decent guys trying to hold back the tide of human offal that most of us hope we never encounter beyond a movie. It doesn’t make angels out of anyone either, so those concerned or outraged by the recent wave of police controversy won’t feel they’re being soft-soaped. Jake Gyllenhaal and Michael Pena work together with an electric rhythm that’s ferociously funny, brothers-in-arms sincere and 100% believable. A lot of inspired improv went into their profound profanity. A chase-gunfight early in the film, while exciting enough, seems a stretch, but almost everything that follows feels authentic. Five months of prep helped the actors bond with each other and do numerous ride-along’s to get enough feel for the street to sell the story. It’s simple: partners in a patrol car, working South Central Los Angeles. One knotty case leads to fateful consequences. Anna Kendrick and Natalie Martinez do fine work as their wives, the cinematography is of the you-are-there school, the film runs a tight 110 minutes. You really do get to like these guys. 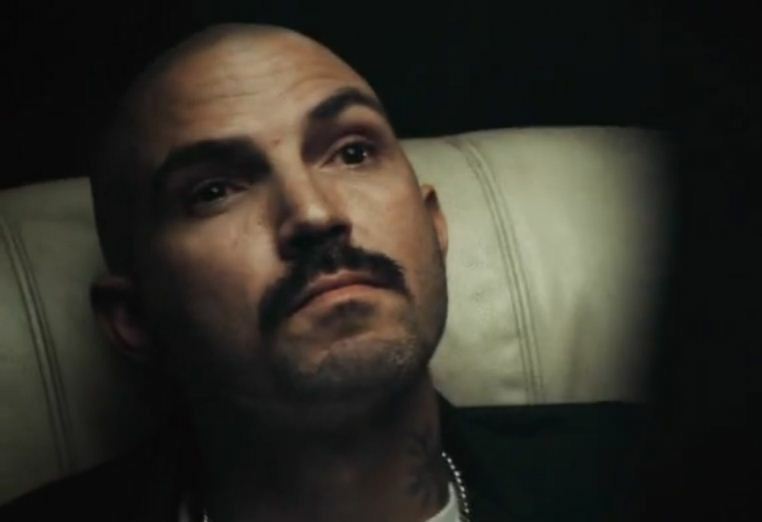 ‘Like’ is not what comes to mind when you shrivel from the unblinking mercilessness put over by Maurice Compte, Flakiss, Diamonique and Richard Cabral as the gangbangers of your wrong-turn-off-the-freeway nightmares. ‘Intense’ doesn’t begin to cover it. With America Ferrera, David Harbour, Frank Grillo. That superb camerawork credits Roman Vasyanov. Well reviewed and strong at the cash registers.